MTB stage racing popularity is on the rise, which is no surprise given amazing events like Trans-Sylvania Epic and Breck Epic on the calendar. Stage races can be the ultimate bike vacation or the ultimate suffer-fest if not prepared for adequately. That’s where LW Coaching MTB training plans for stage racing fit. Use our training plan finder app to get a recommendation of the best training plan stack for your race. 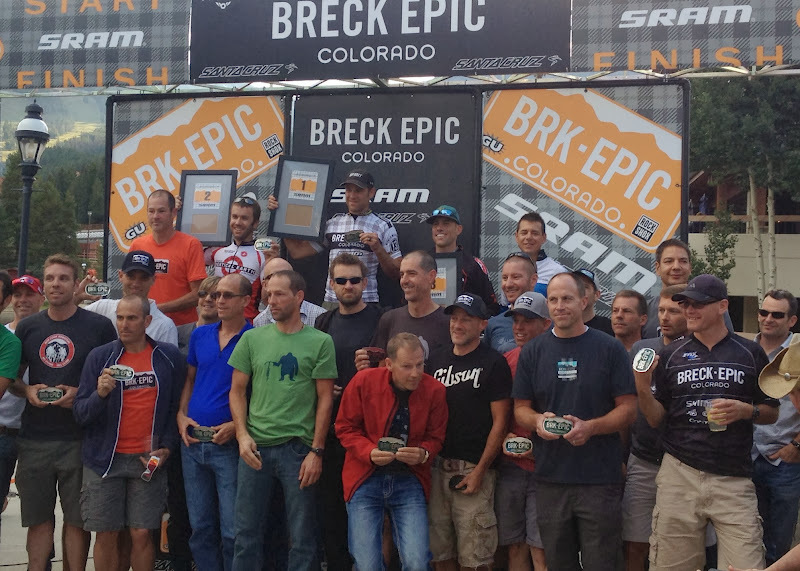 Goal: In terms of racing goals, my big one is the six-day MTB stage race Breck Epic in August. I want to be competitive and finish on the podium at this race. My whole season is about preparing for this race. Athlete profile: I am 44 and have been racing regularly for about 7 years, with some sporadic racing for years before that. I race gears and am close to my ideal racing weight. I have been able to get decent race results in the past, but would like to take it up a notch or two this year. I usually have about 12-15 hours a week to train, and try to commute by bike a couple of times a week when the weather is warmer. In the past, I have generally used my relatively flat commute to do intervals and sweet spot training. I have a power meter on my mountain bike, and another I switch back and forth between my CX bike and my road bike. I like having some direction and training goals. These are each 12 week plans. Start the Base plan in December, 36 weeks out from Breck Epic. Then progress on to the Build, Race and Peak plan to build speed and climbing strength. Finally follow the stage race plan. This 12 week plan includes pre-race rest, taper and peak.Schedule the final week of the Masters 40+ MTB 5-7 day Stage Race Training Plan to fall on Breck Epic race week. Athlete Profile: Badass single-speeder looking to thrive during 6 days of rad racing at altitude in the Colorado mountains on a single speed. Athlete Profile: 35 yrs, 200 lbs, been riding and getting back into shape for a year. Realistic race weight would be int he 170-180 lb range. Have job wife and kids and limited training time. Finishing a seven day stage is on the bucket list. Goal: I have a mind to race the 6 day MTB stage race Breck Epic for the first time Aug 10-15, 2014. My main goal will be to finish all stages. Athlete Profile: I’m a 48 yr old Cat 2 racer. Race weight is good. My XC race season typically runs Feb thru May/June. You have 37 weeks to Breck Epic – lots of time to train. That’s great. 12/2/2013 follow Masters 40+ Cross Country Base Training Plan. Start with building a great base for the season. 2/24/2014 follow Masters 40+ Cross Country Build Peak and Race Training Plan. Then build speed and climbing strength for XC season. 5/19/2014 follow 7-Day Mountain Bike Stage Race – Finishers Plan. Polish off the last 12 weeks of training to Breck Epic with a mountain bike stage race training plan. Athlete Profile: Who are you? Recommended training plan stack: Post your goal and profile in our comments and we can make a case study of you! Goal: to win the single speed class at the 2016 Pisgah stage race. Athlete profile: 34 yr old who has been riding and racing for 6 yrs. SS riding for last 2. Used to riding 5-6 days a week. Usually finish in the top 5 of races with a lot of podiums but am missing that last bit of something to get on the top step. Here are the questions guidelines and tips to help you get started: http://lwcoaching.com/mountain-bike-training-racing-forum/topic/forum-question-guidelines-and-tips-2/ A couple of things you are missing are (1) Race date (2) A Question. Contact me at lynda@lwcoaching.com and we will get you on a plan.